This contest was tons of fun! 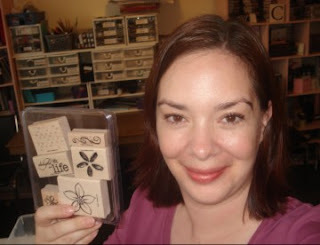 I asked that you either: leave a comment on my blog, susbcribe to it and/or find my hidden clue on my Stampin' Up! website (which was under the "Peace" card on page 2 of my Art Gallery). 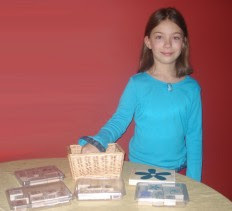 All in all, I had a total of 47 entries, where the winner would be drawn by my daughter Serena today & get her choice of any 2007 Sell-A-Bration stamp set! and had her draw a name. 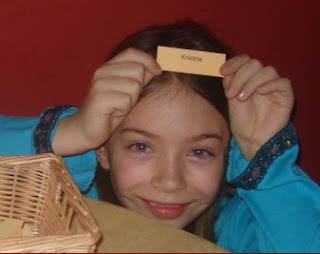 The winner is.... KRISTINE, who posted a comment here. 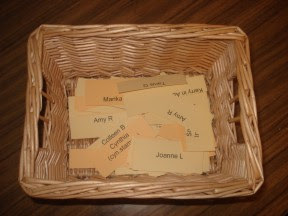 ETA: Kristine picked "Delight in Life" as her free set... way to go, girl! 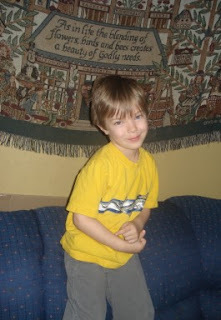 Oh yes, and my son Morgan was miffed that his sister was getting all the camera face time, so he insisted on being included! Caroline, your daughter is the spitting image of you! Hope you had a good New Year - all the best in 2007.